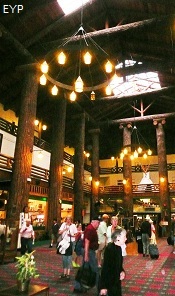 Glacier Park Lodge in East Glacier Montana is known as "The Big Tree Lodge". 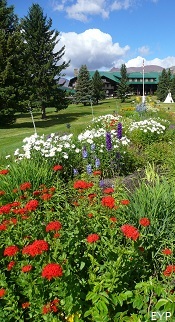 Glacier National Park has three iconic, world famous lodges each having a different look and feel. 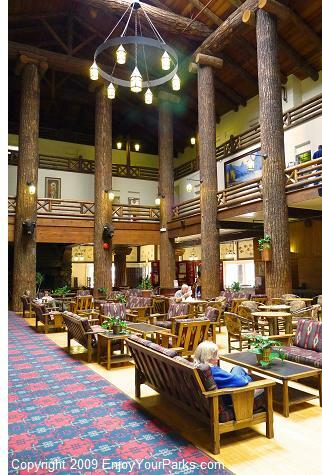 Many Glacier Hotel, Lake McDonald Lodge and Glacier Park Lodge are all National Historic Landmarks, and they all are tremendous national treasures that you really need to see with your own eyes. 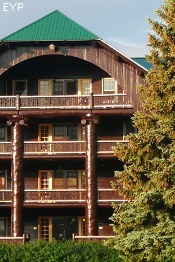 Which is our favorite lodge? 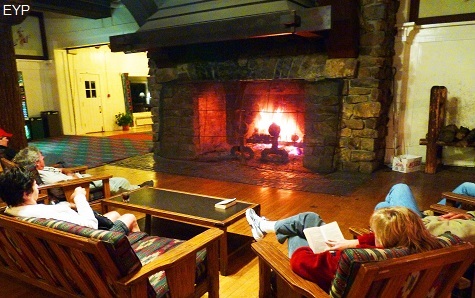 Well, all three lodges have such different flavors, and are located in such different areas and landscapes that it really depends on our mood and what activities we are doing at the time. They are really like having three children, each being completely different from the other, but you love all three equally. 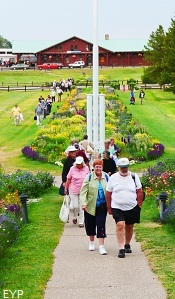 entrance, and it sprawls practically to the train depot, which is several hundred yards to the east. 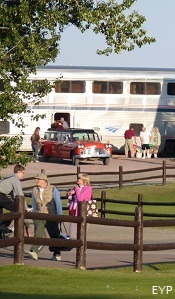 This train depot was the first stop for nearly all the visitors in the early 1900's, and the train still brings many folks from around the country to Glacier National Park. 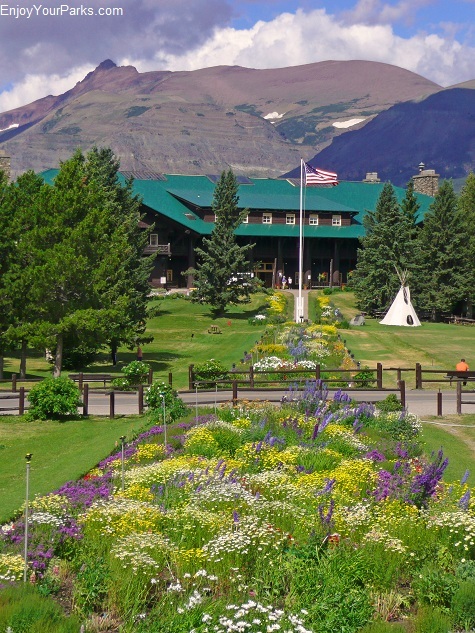 The Glacier Park Lodge is located in East Glacier Montana, and lies just outside of the border of Glacier National Park. This is a great little tourist town that offers everything a great tourist town has to offer, such as shopping, restaurants, hotels, bed and breakfasts, and much more. Make sure to check out this wonderful little town! Just up the road is the famed Two Medicine Area. 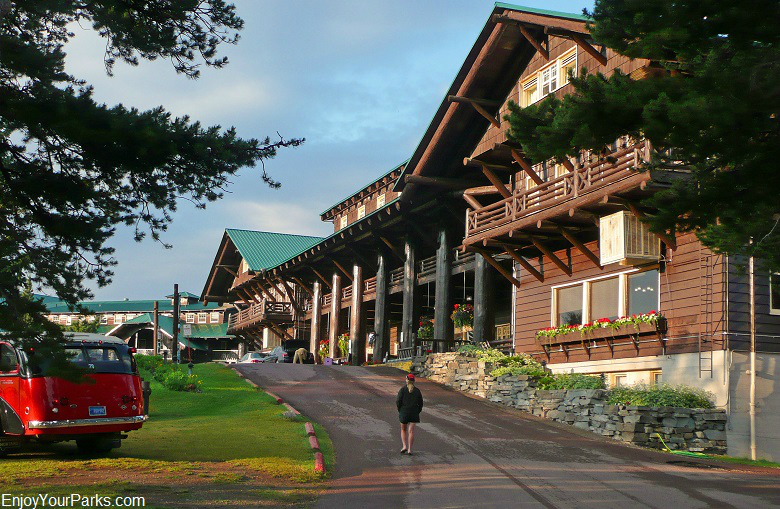 This is where most visitors of the Glacier Park Lodge end up going for the day if they want to go hiking. Another great hike found in the area is Firebrand Pass. 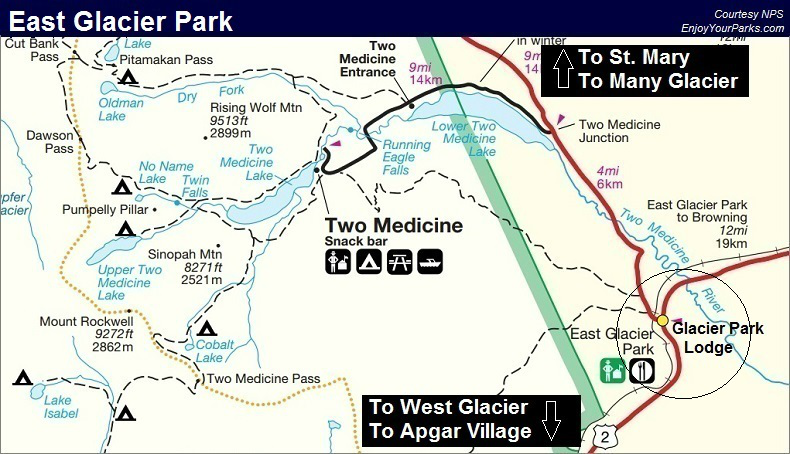 The trailhead is 6 miles south of East Glacier on highway 2, located at mile marker 6. 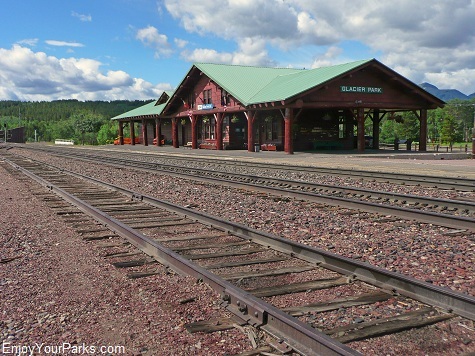 Across the street from the Glacier Park Lodge in Glacier National Park is the famous old railroad depot where visitors would first arrive for their Glacier National Park adventure. 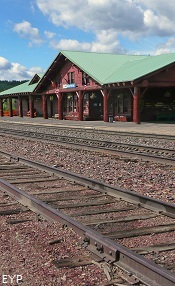 This historic depot is still operating, and is where Amtrac's train engine "The Empire Builder" still brings tens of thousands of passengers each year to Glacier Park. 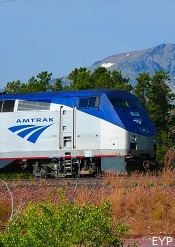 It's always fun to watch the train arrive, and seeing all the passengers make that famous walk to the Glacier Park Lodge. It a passenger doesn't want to make that walk, a Red Bus from the Lodge is there to drive them across the street. 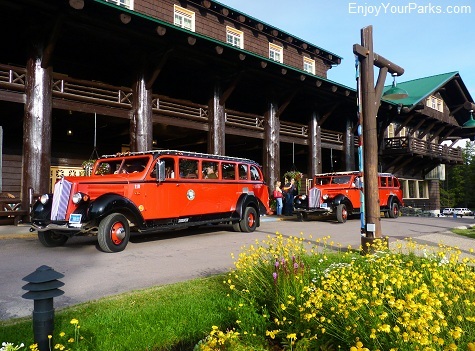 Trains have been bringing visitors to East Glacier's Glacier Park Lodge in Glacier National Park for nearly one hundred years. 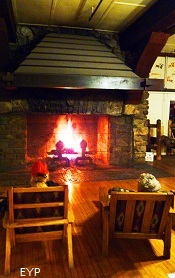 The Glacier Park Lodge has a huge stone fireplace that is enjoyable to sit by after a fun day in Glacier National Park. 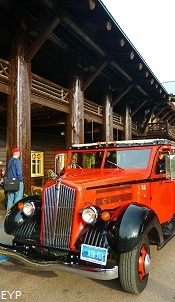 Red Buses are always coming and going, taking visitors on the famous "Red Bus Tours" through Glacier National Park, and then bringing them back to the Glacier Park Lodge once again.